Complete Messaging is proud to be a Microsoft partner and Independent Software Vendor since 2014, actively working with and developing solutions for Microsoft Exchange Server. With an extensive background developing solutions for Microsoft Exchange, we are able to navigate the technological barriers to solving today’s IT and business challenges. We strive to include intelligent options and forward-looking extensibility in our solutions to be flexible to evolve to meet tomorrow’s challenges. “Complete Messaging has worked with CGI for the provision and development of Microsoft Exchange add-ons to meet the needs of our client, ” said Glenn Smith, CTO Large Programme, CGI in the UK. Brian has an extensive background with Microsoft email messaging technology reaching back to Microsoft Mail 3.5, including working at Microsoft in Charlotte, North Carolina supporting Microsoft’s customers on Microsoft Exchange Server 5.5. 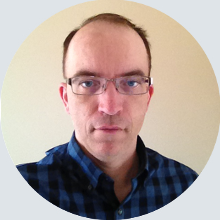 Since then, Brian has explored many roles from escalation manager, to software developer, designer and architect, to product manager, and more, while continuing to work closely with each successive Exchange Server version. At Complete Messaging, Brian is putting his people-first vision into practice, and as a Microsoft Partner and ISV, is looking forward to helping you solve today’s business issues.